Kazakhstan has presided at the United Nations Security Council (UNSC) in January 2018. The presidency and membership in the UNSC for 2017-2018 is an important event not only for Kazakhstan, but for the whole Central Asian region. The UNSC membership presents a unique opportunity to discuss regional and interregional issues at the highest level and bring forward the pressing items of the global security agenda. As part of the UNSC presidency programme, Kazakhstan has highlighted nuclear non-proliferation, Central Asia and Afghanistan cooperation and peace and presentation of the code of conduct towards achieving a world free of terrorism. Emphasis on a Central Asian regional approach to the support of development and security efforts in Afghanistan demonstrates Kazakhstan’s commitment to regional development. Regional cooperation and prosperity is, thus, not only a national agenda for Kazakhstan, but is represented as a regional one to the UNSC members and international community. The Central Asian region has been mostly mentioned in the UNSC in the context of an implication of wider security threats coming from the territory of Afghanistan. Yet, recognition of the efforts and the contribution of Central Asian states to development and stability in Afghanistan is necessary. At the ministerial debate “Building regional partnership in Afghanistan and Central Asia as a model to link security and development” at the UNSC on Jan. 19,Kazakh Minister of Foreign Affairs Kairat Abdrakhmanov pointed out that the international community has an opportunity to create a model of peace, security and cooperation in Central Asia, as was envisioned by President Nursultan Nazarbayev in his address to the council last year. The security-development nexus is applicable not only to Afghanistan, but to the whole Central Asian region as well. Being described as the least interconnected region in the world, Central Asian states are only now moving towards building links and regional projects. Thus, international efforts on stabilisation and the development of Afghanistan would also inevitably depend on how Central Asian states are economically integrated and interconnected. Instead of security concerns emanating from Afghanistan, Afghanistan is starting to open up vast economic opportunities for Central Asian states and beyond. China’s Belt and Road Initiative, CASA-1000 (an electricity transmission system among Afghanistan, Kyrgyzstan, Pakistan and Tajikistan) and the potential of trade from Russia to South Asia are just a few of the promising economic projects that could transform the region and its states. The slogan “from landlocked to land-linked” is not an imaginary one anymore, but has real infrastructure and investment projects behind it. In the address to the UNSC, Kazakhstan not only addresses the world, but more importantly its regional partners, and appeals to take action and foster the interregional links that are long overdue. Another important item on Kazakhstan’s agenda was to organise a high-level special event to present the code of conduct towards achieving a world free of terrorism at UN headquarters in January as part of Kazakhstan’s UNSC presidency. This event opens a broad discussion on one of Kazakhstan’s priority areas for its non-permanent membership on the UNSC; namely, fighting and defeating terrorism. The initiated debate on the code of conduct ultimately seeks a contribution to the establishment of the Global Antiterrorist Coalition (network) under the auspices of the UN, the idea of which was earlier announced by Nazarbayev at the UN General Assembly in 2015 and now further promoted. The code of conduct, at first sight, is not very different from various global and regional international frameworks developed in order to fight both domestic and international terrorism including the UN Global Counter-Terrorism Strategy (UNGCTS). Needless to mention, a majority of states by now have incorporated instruments designed to counter international terrorism in their domestic legal systems, be it in specific anti-terrorism laws or their respective criminal codes. Consequently, the problem of fighting terrorism internationally lies exactly in this variability. The code of conduct, however, has no intention of replacing the existing mechanisms; rather, it seeks institutionalising the ways of their subsequent reinforcement drawing on “a political will to fulfil obligations” and acting along the lines of UNGCTS. Kazakhstan suggests building on the positive experience of reaching the first regional joint action plan in carrying out the UN vision of counter-terrorism in Central Asia (the Joint Plan of Action for implementing the UN Global Counter Terrorism Strategy in Central Asia). Currently the code of conduct presents a so-called “zero draft,” developed by Kazakhstan in conjunction with the UN Regional Groups, and serves as a starting point for further negotiations. For obvious reasons, its full text has not yet been published. Thus, the analysis bases itself on limited information that is publicly available. The zero draft constitutes a political document with no binding force which probably will enormously facilitate discussions on this otherwise deeply sensitive issue. One of the code’s aims is related to definitions. A commonly-accepted definition of terrorism has long been needed. Indeed, defining terrorism, let alone agreeing on a shared definition, embodies a universe of intrinsic political challenges transmitted in one of the biggest debates among academics and policymakers. The narrow borderline between concepts of “terrorism,”“insurgency,”“opposition to a political regime” and their ultimate merging further complicates this issue when discussed internationally. In fact, the most recent example can be drawn from the Syrian crisis, which illustrated all the pitfalls of international efforts in counterterrorism cooperation. It is certainly challenging to coordinate operations if the parties even cannot agree upon whom to call a “terrorist.” Consequently, actors kept failing to reach a common vision against whom to fight and whom to target. Definitional “wars” traditionally have presented a window of opportunity, where diverse perspectives of involved actors allow each side to progress with its own political agenda. Thus, the absence of a shared understanding provides for political manoeuvrability which is greatly protected by the states and which at the end of the day precludes reaching significant success in opposing irregular actors, such as terrorist groups. In this light, bringing the topic back to the international discussion at the highest level while working on the code of conduct can contribute to the creation of a new wave of political discourse on countering terrorism and overcoming existing legal and political gaps. That altogether makes it an interesting document to expect which would certainly reflect the current state of international debates on terrorism. Kazakhstan’s presidency of the UNSC reflects its foreign policy visions on regional and international peace and security promotion, recognition of the efforts that have been accomplished and ways to further build and promote Central Asia as a model for security and development. 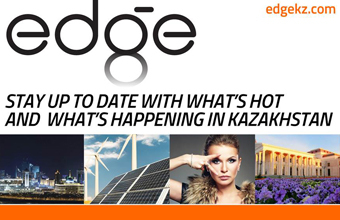 The proposed items on Kazakhstan’s agenda highlight deeply entrenched issues with a long-term process of their resolution; yet, one could not overlook the importance of raising awareness and the prospects for political dialogue. With the ending of Kazakhstan’s presidency of the UNSC, it is hoped that these issues would be referred to again at high-level meetings and, more importantly, would pave the way to concrete programmes and strategies. The authors are lecturers at the Institute of Diplomacy of the Academy of Public Administration under the President of Kazakhstan.